On a whim, I wrote a program in matlab to simulate the modes of a 2D circular membrane vibrating in 3D space, also known as a drum. The program takes the two variables for the mode of the membrane (n,m), where n is the number of radial nodes, and m is the number of concentric nodes (1=none only center and edge, 2=center, edge, and 1 more, etc), then generates a plot of the membrane, using Laplacian smoothing to create the surface. However, it still has a significant number of flaws, so if anyone would like to mess with my code and see if they can improve it a bit, I'd appreciate the help. Check out some sample plots and the code itself below. b) I had a matlab license. 2) It doubles the mode values for m because I misread my notes from Musical Instrument Design class. No biggie. Which version of Matlab are you running? I had to comment out the line with "clf;" in order for the movie to work. I'm using v7.6.0 (R2008a). Welcome to Cemetech. Yes, I did indeed perform a Numerical Laplacian in the discretized domain, but I figured no one here would know what I was talking about if I said that. I'm running 2007a at the moment; I'm surprised the movie didn't work. It's been a while since I've done my PDEs, but I think that may be useful here...although you did an awesome job already. Oh thanks, I plan to fix up the bugs and repost soon, but I'd definitely appreciate the help if you have a chance to look into it. May I ask what brought you to this? I was on ticalc.org and noticed the TI-83 programming contest so I entered that and ever since, I've been intrigued with the projects that you work on. I'm guessing you're an EE, but I'm not 100% sure. 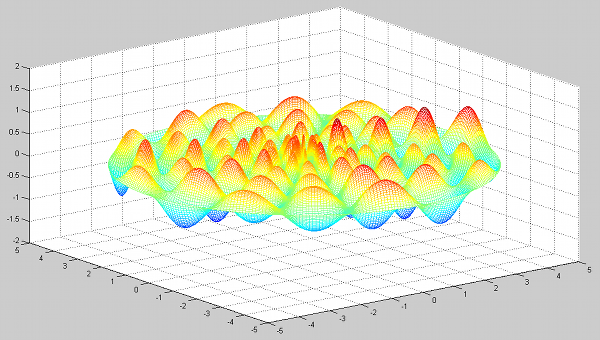 Anyway, once I saw that you like to mess around with Matlab, I had to check it out. 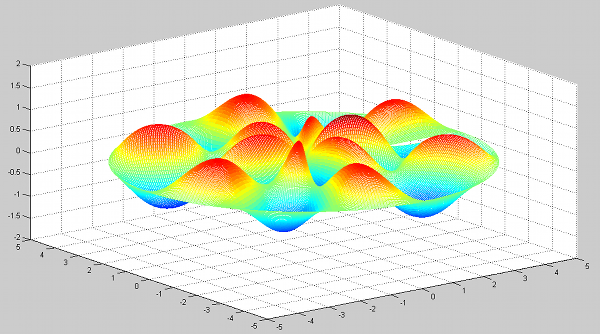 I do quite a bit of stuff on Matlab myself and that's what brought me to this. *bump* Added some fixes and scaling factors; I notice it causes some very weird behavior, not sure if that's in error or actually an accurate simulation. Whoa, you saved my life with this coding... Seriously, it helps me save time figuring out the whole thing for my End of the Year project for College. 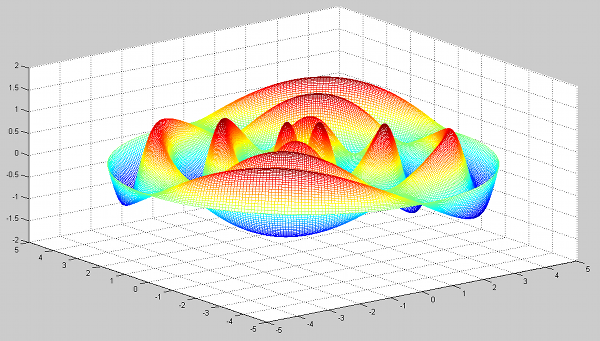 Never used MATLAB yet and I just started using it, but can I use the coding for reference or something? I'm new to the whole open source, code sharing, thing on the net. If not, can I base my programming with what you provided? 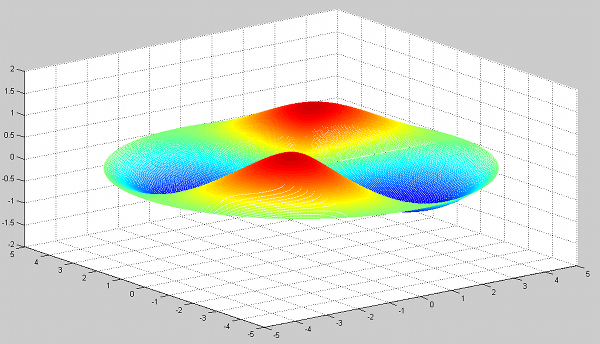 Did you discretize Laplacian or did you use the Bessel function for this? Haha, glad it could help, and welcome to Cemetech. As long as you credit me (Christopher Mitchell) with the original coding, you're welcome to use and modify my code as you see fit, as long as it's not for commercial profit. I used a discretized numerical Laplacian, aka the Monte Carlo iterative solution scheme, so it's an approximated solution. I'm not sure if it's perfectly accurate, but I hope I got most of it down properly. The polar coordinate scheme is slightly kludgy, but it's as good as anything else I could find to do the same thing. What's your application? Alright then! Yeah, I know when to give credits where it's due, plus since I'm in college in montreal we don't normally see that in our year. In University yea, but not in our years of college. So, if I presented something like this, I don't think I can get through without ending with a fail due to plagirism. I'm assuming you're using the European naming scheme where college == high school, and university == college, or are you making the distinction that college == undergraduate work and university == graduate work? He means what specific task would you be using it for? Cheers, welcome to Cemetech. May I ask what it's useful to you for? There are 155 users online: 3 members and 152 guests. © Copyright 2000-2019 Cemetech & Christopher Mitchell :: Page Execution Time: 0.130664 seconds.